We connect youth worldwide through video calls and other forms of media. As humans, we learn best when we are passionate about certain subjects. It is easiest to become involved in world issues when we care about them personally. That is why through Break The Divide, students are given the opportunity to learn about others from a first-hand perspective and take action on issues facing communities. Our main goals are to connect youth worldwide to get youth personally connected to issues and to support youth-led initiatives in BTD Chapters. Get your school to become a part of our international network of students willing to talk about creating change. Communicate with students from other schools from all across the world to learn about individuals' lives and problems where they live. This is where we break divisions in society and learn about life in another place. Based on your new passion for an issue through a personal connection, it's up to you and your BTD club at school to decide how you want to bring change! In July 2016, co-founder Abhayjeet Singh Sachal traveled to the Arctic through the Students on Ice Foundation. Upon returning from the expedition, he looked into the issue more. Inuit suicide rates are 11 times the national average. In general, Aboriginal communities suffer while the rest of Canada thrives. The personal connections he made during the expedition were all so strong that he realized he needed to do something about these issues affecting his new friends. After brainstorming possible solutions to the issue with his brother, Sukhmeet Singh Sachal, they came up with Break The Divide - an international network of students that would connect, communicate, and create change. Sukhmeet spent 6 months in 2017 working and living in Inuvik, NWT, 300 km above the Arctic Circle. To address one of the greatest issues affecting youth in Northern communities, mental health and the stigmas behind it, he created a connection for Break The Divide by inspiring students to start up the second ever chapter at East Three Secondary. 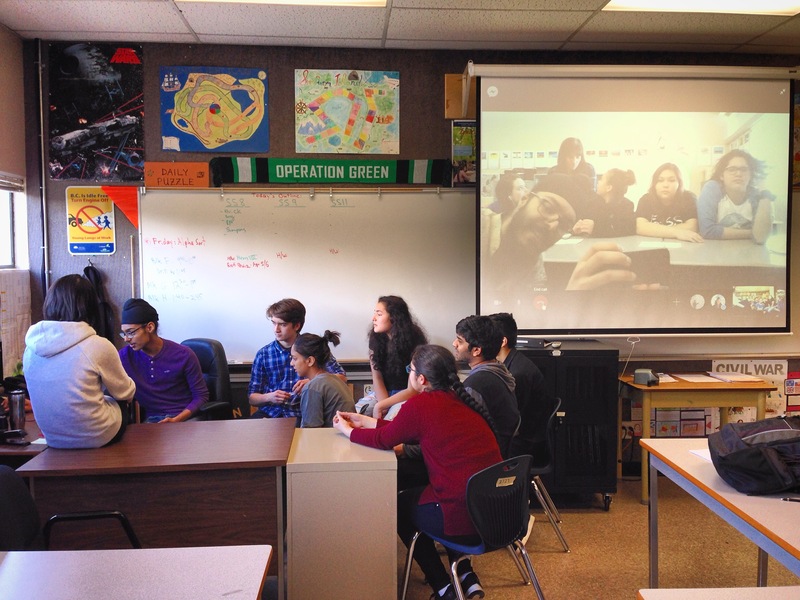 The students had video calls with youth from Delta, BC.